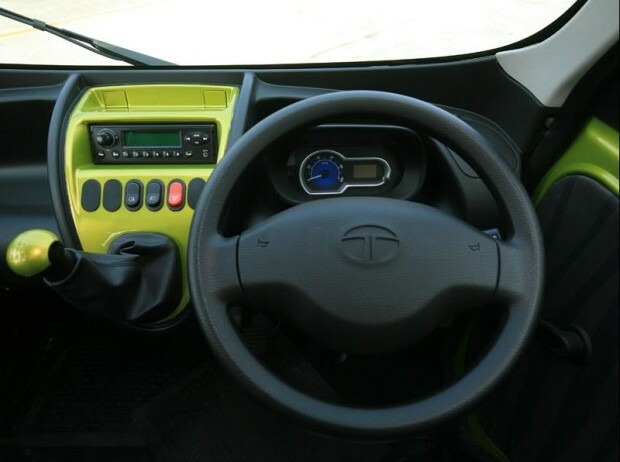 The Tata Magic IRIS Micro Van is a utilitarian, simple vehicle built for the masses of India both as a transport and a work truck. 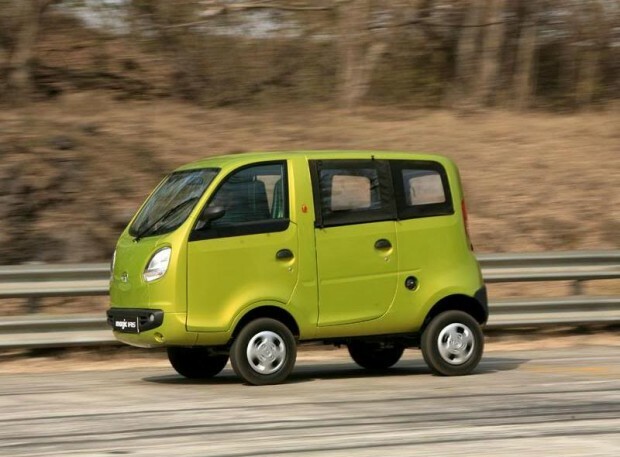 It’s also one of the most bonkers, odd-ball, bananas designs ever seen on a mass-production vehicle. That’s why it’s cool. 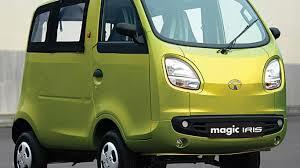 Being that efficiency is the name of the game, the Tata Magic IRIS Micro Van comes with an (about) 11 horsepower, single-cylinder, 611-cc, four-stroke diesel that makes about 22.8 lbs-feet of torque at 1,600 rpm. It’s hardly a powerhouse, but it was never meant to be one. The front suspension is a independent MacPherson Strut, hydraulic double acting shock absorber setup. The rear suspension is a coil spring with semi trailing arm, hydraulic double acting shock absorber setup. It has a four-speed manual transmission feeding the rear wheels and four-wheel drum brakes – yes, “drum” brakes. Look, they are cheap and low maintenance – right? 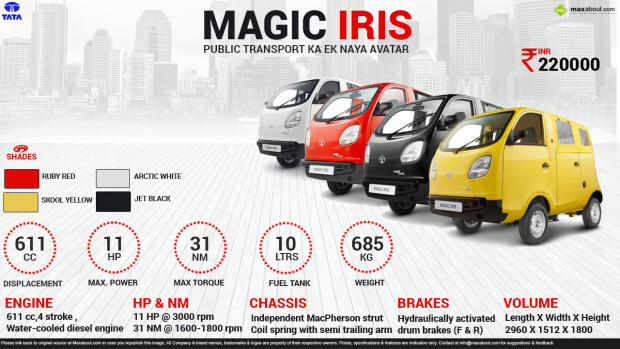 Besides, the Tata Magic Iris only weighs about 1,500 lbs. It’s less than 10 feet long, yet it’s supposed to hold four people comfortably. There’s a separate luggage compartment in the rear, just over the engine/gearbox location. I enjoy looking for unusual trucks around the world. Finding innovative thinking for vehicles we’ll never see in the North American market can be rewarding. Just look at how they designed this little thing! It’s a cab-over design that would never pass muster in our safety tests; sure, but it looks fantastically bizarre! I desperately want to drive one. Check out this fun promotional video! Next postWhere is the Air-Powered Car?